The term spa is derived and associated with hypnotherapy. It is a traditional therapy that ancients followed where they bathed in the natural hot springs which had a lot of positive effects on the health. In recent times, spa resorts or spa towns are known to offer similar health treatments. 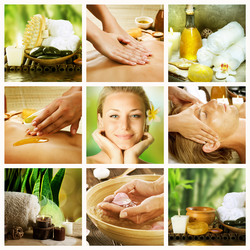 The spa industry has seen a drastic upward growth in the past few years. Kerala has emerged as a popular spa destination for tourism related to spas because of its association with Ayurveda healing centers. There are also some enticing resort spas as well as amazingly refreshing spa destinations up the mountains in India. The spa is not just associated with basic massages and skin treatments, but many of these spas in India have now adapted a variety of different and new therapies, to name a few, would be, hydrotherapy, reflexology, meditation and aromatherapy. So now all you need to do on your vacation is to relax, lay back and have a great time being pampered. To get healthy: Destination spas can be one of the best choices if you wish to make some drastic change in your lifestyle, and your health, and if you are looking for some support to do so. They offer relaxing spa treatments balanced with exercise and good nutrition. Destination spas can be a great option for people traveling alone. To relax: if you are looking out for a get away, and have kids, the resort spas are the best deal for you. They not only offer you with spa treatments, but you can also hang out by the pool with your family, have a lavish lunch and just relax. They provide you with excellent as well as suitable amenities and facilities. To lose those extra calories: Gone are the days when you had to eat, sleep and practically live on the treadmill to lose those extra calories. Here is the age of destination spas that teach as well as guide you with your weight related issues, they not only design a special diet for you, keeping your needs in mind, but also guide you with a personalized workout regimen. So now you can burn the fat and also relax at the same time. To detoxify: our surroundings and environment has various different kinds of harmful toxins that are eliminated from vehicles and all sorts of industries, these toxins are not just harmful to the physical well being but also for the mental well being. A select sect of spas offers detox treatments. Some of these detox includes yoga treatments like the lymphatic drainage or other options include juice fasting and so on.